Last year I got to write one of my favorite articles ever, Trains, detailing my love for Thomas the Tank Engine. 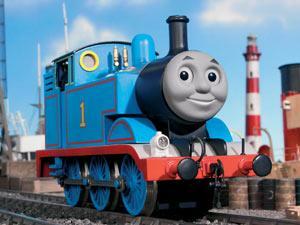 What’s frightening to me is that the world’s favorite tank engine is turning 70 this week. That is a really long time to be around. But all it means is that there are countless generations of children and adults that have been entertained by Thomas and his friends. I am simply one of them. Thomas will continue to entertain for years to come. Hopefully one day I will pass along Thomas to my kids. Happy Birthday Thomas.